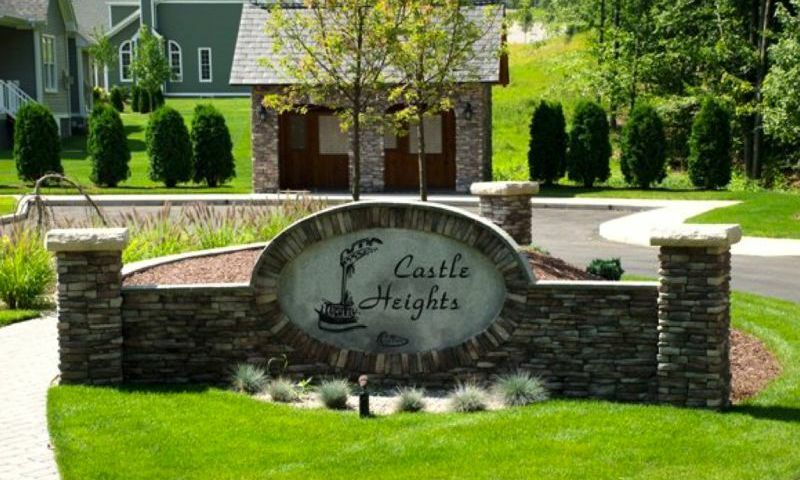 Castle Heights of Cheshire is a 55+ community located in Central Connecticut. This low-maintenance community offers luxurious single-family homes as new construction and resale. Castle Heights is located between Hartford and New Haven offering great options for entertainment and recreation. Residents in Castle Heights of Cheshire enjoy a low-maintenance lifestyle in a quiet setting. Although there is no clubhouse, residents enjoy getting together for summertime parties and cookouts on the event lawn. There are also walking and biking trails that wind through the neighborhood offering a great way to get outside and stay active. The gazebo is where residents like to relax and enjoy scenic views of the community. Developed by Carrier Communities, Castle Heights of Cheshire will consist of 88 well-designed single-family homes. Carrier Communities offers eleven floor plans and homebuyers can customize their dream home. Homes in the community range from about 2,040 to 3,887 square feet of living space with two or three bedrooms, two-and-a-half bathrooms, and an attached two-car garage. Some homes have second floors with an additional bedroom and bathroom while all models have dens and eat-in kitchens. Residents love the open floor plans and private master suites perfect for active adults. Homeowners in the community have plenty of time to relax with family and friends because of the great low-maintenance lifestyle. An annual homeowners' association fee covers general maintenance of the community grounds as well as all lawn care and snow removal for all homes. Taking away these annoying tasks frees up residents to enjoy old hobbies and explore new ones. Residents have more time do participate in fun activities like book club, men's club and women's club. Located in Cheshire, Connecticut, Castle Heights of Cheshire is surrounded by great options for shopping, dining, and medical services. With I-84, I-691 and I-91 all closely accessible, those looking to travel to other parts of the state can do so easily. Situated about halfway between New Haven and Hartford, residents never have to travel too far for daily needs. During the summer months residents travel south and explore the charm and culture of coastal Connecticut. During the winter months, skiers can find ski hills for all levels within a few hours drive. Surrounded by great conveniences the charming community of Castle Heights of Cheshire attracts active adults across the northeast. There are plenty of activities available in Castle Heights of Cheshire. Here is a sample of some of the clubs, activities and classes offered here. Homes in the community range from about 2,040 to 3,887 square feet of living space with two or three bedrooms, two-and-a-half bathrooms, and an attached two-car garage. Some homes have second floors with an additional bedroom and bathroom while all models have dens and eat-in kitchens. Residents love the open floor plans and private master suites perfect for active adults. This is a fabulous community. The builder will work with you and the quality is top notch. I absolutely love our home and am very happy with it. The neighbors are very friendly and we've gotten to know a lot of great people. We go out for dinner with friends, get together to discuss our book of the month, go golfing, shopping ... you name it! We are always busy doing something. 55places.com is not affiliated with the developer(s) or homeowners association of Castle Heights of Cheshire. The information you submit is distributed to a 55places.com Partner Agent, who is a licensed real estate agent. The information regarding Castle Heights of Cheshire has not been verified or approved by the developer or homeowners association. Please verify all information prior to purchasing. 55places.com is not responsible for any errors regarding the information displayed on this website.